In August of 2018, Greg Glassman, Founder of CrossFit, made the announcement that transgender athletes would be allowed to compete in the 2019 CrossFit Games in the gender category of which they identify - thus changing years of oppression of our trans siblings and their ability to be seen for their true selves in sport. 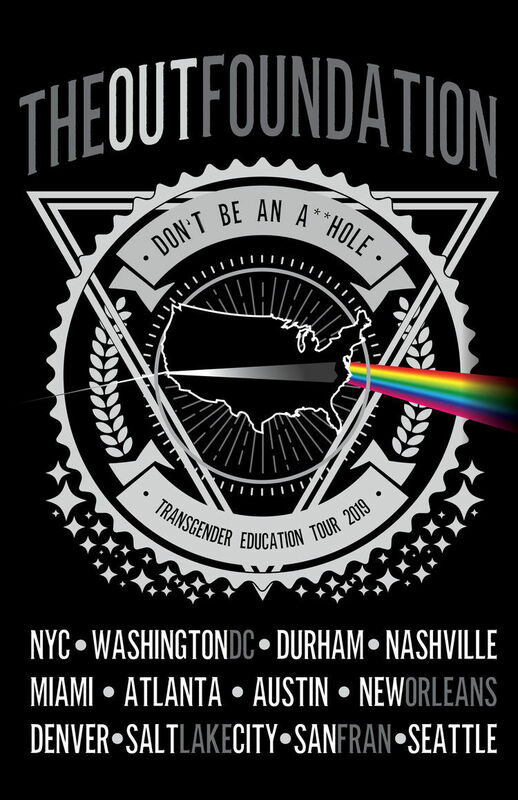 As part of our mission, The OUT Foundation is embarking on a nationwide town hall tour dubbed the Don’t Be An A**hole, Transgender Education Tour to serve the greater CrossFit, fitness and general business community on best practices for ensuring your space is a safe space for transgender and gender non-conforming athletes. We are grateful to be able to provide this education and hope it allows us to get one step closer to equality and inclusion in fitness.